Nowadays, for every home and business, a separate WiFi connection is a must. We prefer WiFi connection to mobile data since we like to browse webs, watching YouTube and transfer files to someone who is from a long distance. While using WiFi, if you suspect that the downloading speed is low or the performance of your WiFi Internet connection is poor for a while, probably someone is using your WiFi connection without getting any authorization from you. It's a fashion to hack someone's WiFi net and data but they don't feel that they are stealing someone's money. You may want to download a movie and you set to download. After some time you see that your download is not completed and not even crossed 15% of the downloading the file. Once you feel that something going wrong with your WLAN Internet speed, it's the time for you to take a systematic step to protect your WLAN connection. In most cases, your neighborhood might be using your WiFi connection with or without your permission. There is a chance that they can misuse your connection or simply you don't want them to further consume your internet connection. If you believe that your neighborhood is not using your wifi but still confused about how to check who is using my WiFi ? and would like to know how to kick people off your wifi? 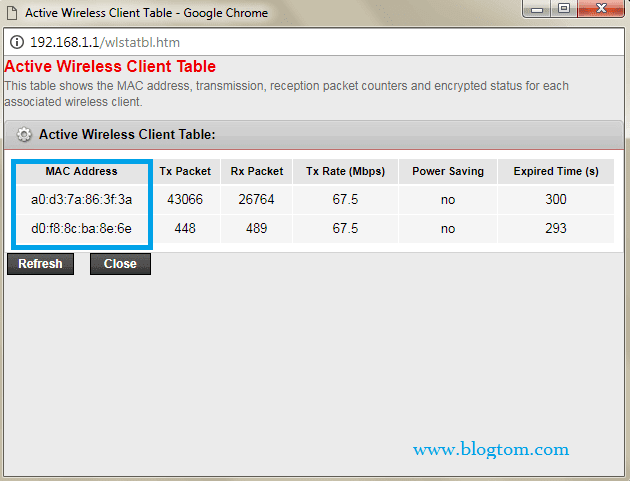 In this post, firstly, I will tell you how to check who is consuming your WiFi. There are two ways to find out who is using your WiFi. One is through your router and another is through an app. Before getting ready to explore, disconnect all your WiFi connected devices and let the Modem/Router be Turned ON. Now, check whether WLAN bulb is blinking for no reason. If you feel that your net connection is very slow, observe the WLAN bulb blinking for 30 seconds. If it blinks continuously, definitely someone is using your WiFi. Now we are going to see the first method. Also, you could check IP on the back side of your modem/router. 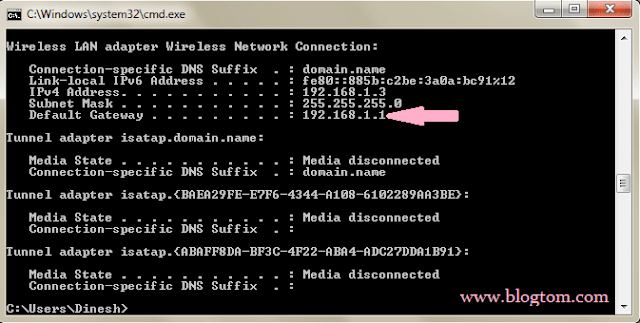 Alternatively, your router's IP can be found using cmd on PC. Run cmd on your Windows PC. It will open the command prompt window. Type ipconfig and then hit 'Enter'. You could find something like Default Gateway and it's corresponding IP address. Note down the IP address somewhere. Simply type the IP as it is on the address bar of your browser and you should be directed to your router's login page. If you haven't changed the username and password for router's login, the default username would be: admin or user and the default password would be: admin or password. The username and password are case sensitive. Also, you could check for username and password at the back side of your router. Once you have been logged in to your's router's dashboard, go to WLAN settings. Look for active Wireless clients. For each and every router, it varies. 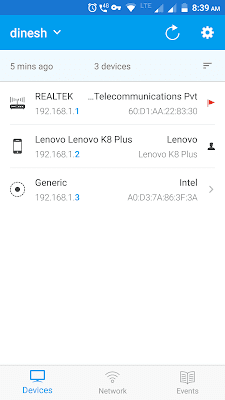 The information for WLAN clients can be found which might be named as devices, clients, WLAN status, connected devices, etc and so on. In my case, I can see the devices that are connected and active over my WiFi as you could see in the above snapshot. Note down the MAC address that you see when you found the list of active Wireless clients. 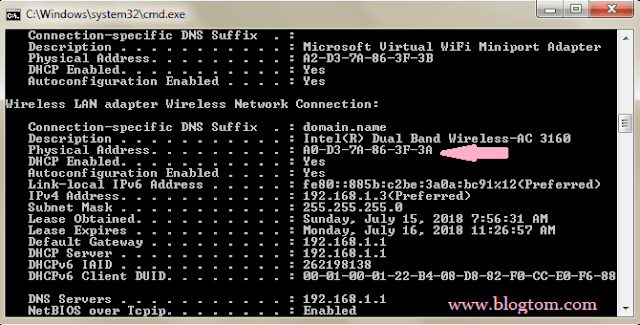 You might also like to read: How To Find Your WiFi Password or Network Security Key On Windows PC and Mac? Using Fing network scanner is the easiest way to find out who is using your WiFi. Fing app is available for both Android and iOS. 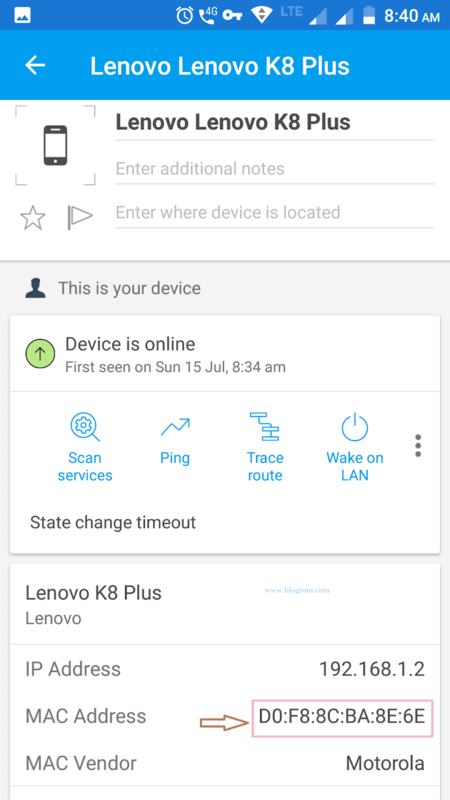 Let's see how to use the Fing app to find out the devices that are connected to your WiFi. Simply open the Fing app. That's all. 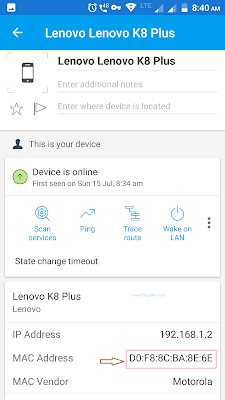 In the devices tab, you could see a list of devices that are active and connected to your WiFi. As you can see in the above snapshot, the MAC address for my Mobile phone is not visible. To see the MAC address, just tap on the mobile device and you can find out. Note down the MAC address for each device that is showing online. You might also like to read: How To Find Your WiFi Password or Network Security Key On Android and iOS? Run cmd from your Windows search box to open command prompt window. Under Wireless LAN Adapter Wireless Network Connection, you could see something called Physical address. The physical address highlighted in above snapshot is your Windows MAC address. In this post, I'm using the term MAC address. So what actually it is? MAC Address stands for Media Access Control Address of the devices like cell phones, PC, and other electronic devices used for communication. The MAC address for a device is mostly assigned by its manufacturing company. The MAC Address is stored in the hardware itself for identification of a device. It is a unique identifier assigned to a network interface controller (NIC) for communications purpose. Now the most important question comes. The Simple answer would be: "Using your router"
Once again login to your Router's dashboard. 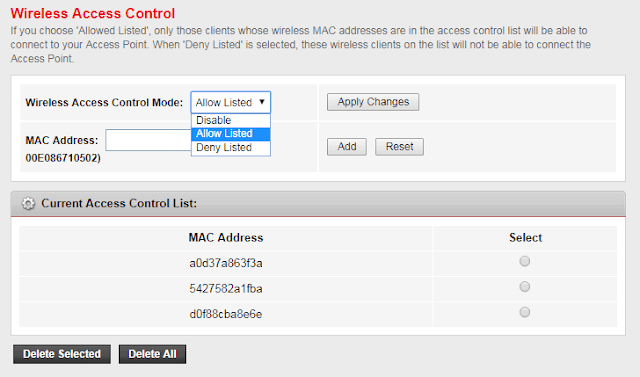 Go to Settings or Setup > WLAN settings > Access Control List. The procedure would be the same but the settings options vary for each router's model. If you have a smartphone, laptop, and tablet, each device will be having a unique MAC address. Here we are going to use those MAC address that has been previously noted down. 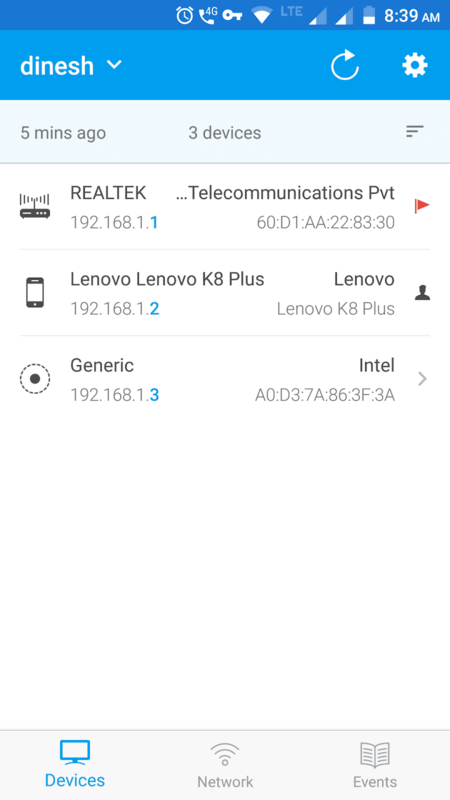 If you want your WiFi connection needs to be connected to your own devices, simply enter all the MAC address of your devices in WLAN access control settings of your router. Select the option "Allow Listed" and then apply the changes. 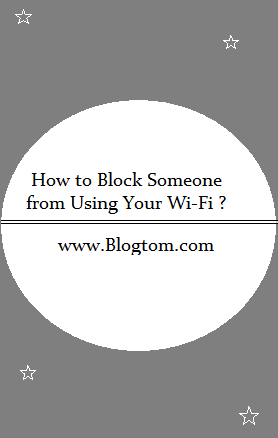 With the help of this method, you are restricting other WiFi receiving devices from using your WiFi. If you found your neighborhood's devices listed and it's MAC address, you need to enter those address in the MAC address field and choose "Deny Listed". After that, click on apply changes. If you want to disable the settings, just disable the settings and apply changes. Your router is the powerful weapon to kick people off your wifi. The router is a root where we can allow or disallow particular devices for receiving wifi connection. As I said that the default username and password for a router is known to almost everyone who surfs the Internet. In case if your neighbor is using your wifi and knows the router's password. They might change it and you will be kicked off your wifi. Prevention is better than cure. So, it is always recommended to change the router's password with a strong one. This is the most common action that you must do to protect your WiFi from unrecognized devices. Without Password for your WiFi is like parking a bike/car without locking it. Will you park your bike or any vehicle in public without locking it? Therefore consider changing SSID password with alphanumeric characters. Do not use common letters like password@123, your name, SSID name, ABC, 88, 001, etc and so on. A strong password can include case-sensitive letters + numbers + special characters. In this modern world, most people can't live without WiFi. It is your responsibility to protect your WiFi connection to enjoy all the provided data packet without fail. I'm not blaming your neighborhood. Maybe a friend of your neighborhood might come to know your WiFi password and can change the router settings. 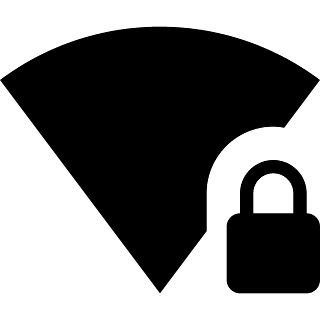 Therefore, try the methods presented in this post to Secure your WiFi connection than before. If you come to know any other solution for protecting WiFi, please let me know in the comments box.